I am partial to science fiction books set in the near future where the technological improvements are in a way understandable and expected in light of where we stand today. 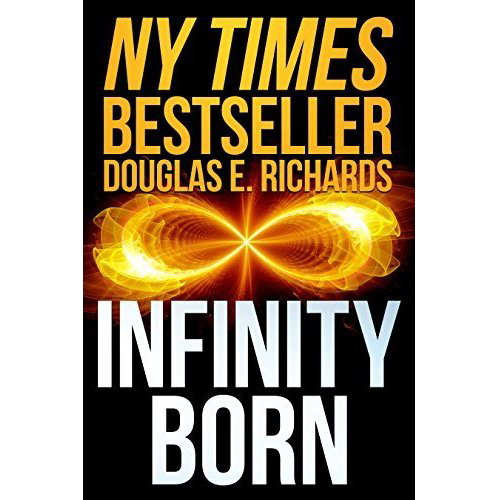 For anyone who has been following the recent spat between Elon Musk and Mark Zuckerberg about the perils of AI, Douglas Richard’s Infinity Born is extraordinarily timely. It focuses on the quest for ASI (artificial super intelligence) in a fun thriller that covers a lot of the technologies I have been reading and thinking about: mind uploading and emulation, bioprinting, nanites in the brain, asteroid mining, kinetic bombardment, EmDrive technology and much more. The author successfully takes these technologies to their logical extreme and makes the implausible sound mundane and even inevitable. The book is fast paced and fun and I thoroughly enjoyed it though I would not quite put it on par with the very best thrillers. Despite all its brilliance in presenting the impact of all these technologies, I found the book somewhat predictable. That said, it’s a fun summer read, that is also cerebral and timely. Well worth the read!